Particle & Surface Sciences have introduced Micromeritics’ AutoChem 2920 Automated Catalyst Characterisation System, which is a catalyst characterisation laboratory enclosed in one cabinet. 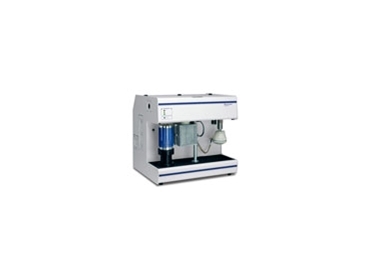 The AutoChem II 2920 is a fully automated chemisorption analyser that can provide the laboratory with the ability to conduct a comprehensive array of highly precise studies of chemical adsorption and temperature-programmed reactions. With this single instrument, valuable information about the physical properties of the catalyst, catalyst support, or other materials can be obtained. It can determine catalytic properties such as percent of metal dispersion, active metal surface area, acid strength, surface acidity, distribution of strength of active sites and BET surface area. The AutoChem II 2920 performs pulse chemisorption, temperature-programmed reduction (TPR), desorption (TPD), oxidation (TPO), and reaction analyses automatically. Graphic reports obtained for BET surface area, pulse chemisorption and heat of adsorption. In addition, it has an integrated Grams/32 peak editor package which provides peak selection and editing, integration, data smoothing, rescaling, and overlay capability. Particle & Surface Sciences also offer a wide-ranging programme of support solutions, including installation and service of all instruments by factory trained technicians, an Analytical Laboratory and a Sales Department to assist with enquiries. Particle & Surface Sciences will be conducting a series of seminars across Australia during 2009.